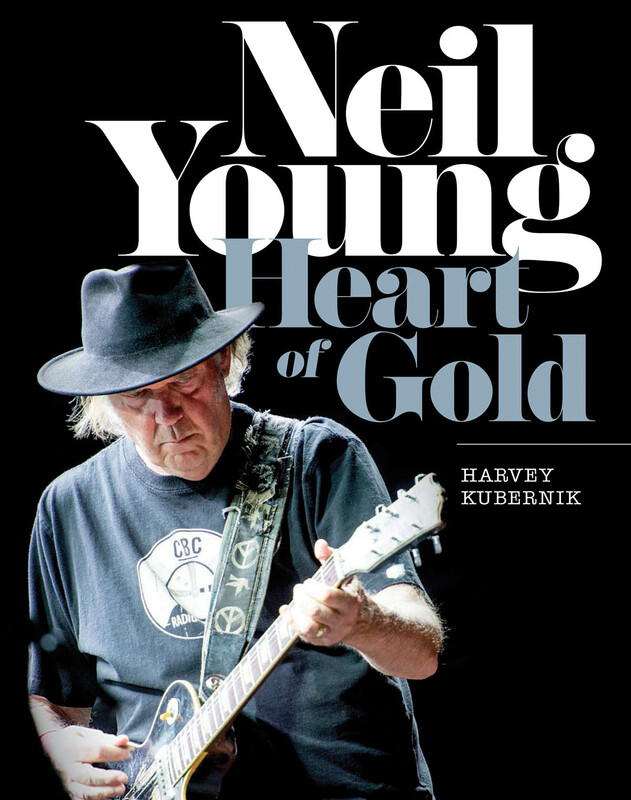 In the spirit of love and all that is good and real about Neil Young and their rustie fans, we're pleased to be able to offer a few free copies of the new book "Neil Young: Heart of Gold" by Harvey Kubernik to a lucky Thrasher's Wheat reader. Details follow below. 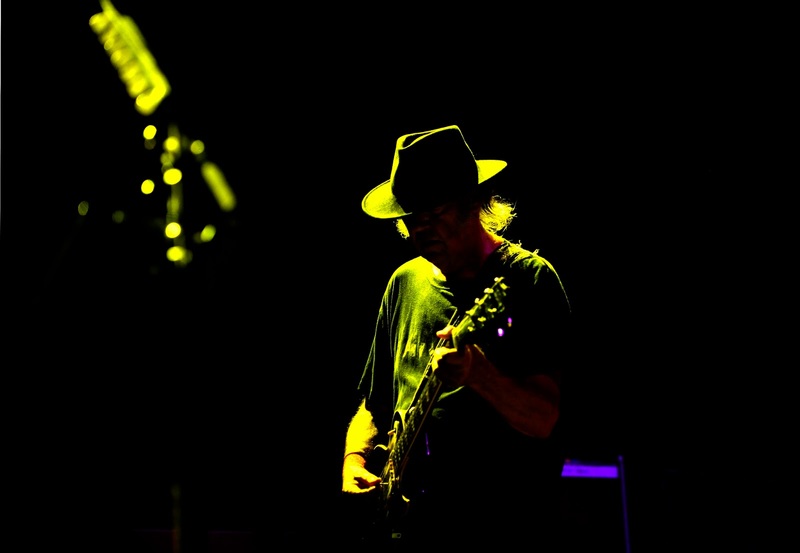 With Neil Young's 70th birthday coming up next week on November 12, what better way to celebrate than to immerse oneself into a richly detailed tribute to that little musical giant of a man -- Neil Young. We just finished perusing over author Harvey Kubernik's new book "Neil Young: Heart of Gold" which spans more than 50 years of Neil Young's career in making rock music history. From Buffalo Springfield, collaborations with Crosby, Stills & Nash, his solo years starting in the late 1960s, and subsequent tours and albums as a singer-songwriter, Kubernik covers Neil's uniquely shifting musical styles over five decades, including rock, punk, electro-pop, and the retro vision of Americana. Kubernik, explores every aspect of Young's remarkable life and career with exclusive interviews with fellow musicians, record producers, engineers, music journalists, film directors, and loyal fans combine with a wealth of photographs, many previously unpublished, to create a unique tribute to a true rock legend. In addition, there is a complete discography, and photographs and memorabilia from throughout his career. Among those featured are musicians Randy Bachman, Graham Nash, Clem Burke, Nils Lofgren, Peter Lewis, Don Randi, Rick Rosas, Chris Darrow, Jim Keltner, Steve Wynn, Ian Hunter, Jonathan Wilson, Robbie Robertson, Bill Mumy, Dan Kessel, Howard Kaylan and Richie Furay; filmmakers Jim Jarmusch and Stanley Dorfman; record producers Denny Bruce, Kim Fowley, Elliot Mazer, Jack Nitzsche, and Niko Bolas; sound engineers Stan Ross and Bill Halverson; artist managers/producers and promoters Brian Stone, Bill Graham and Andrew Loog Oldham; and photographers Henry Diltz and Nurit Wilde, in addition to previous Young chroniclers from Canada, America and England, along with many more contributor voices. The book references Rusties such as Sharry Wilson and her seminal research "Young Neil: The Sugar Mountain Years". 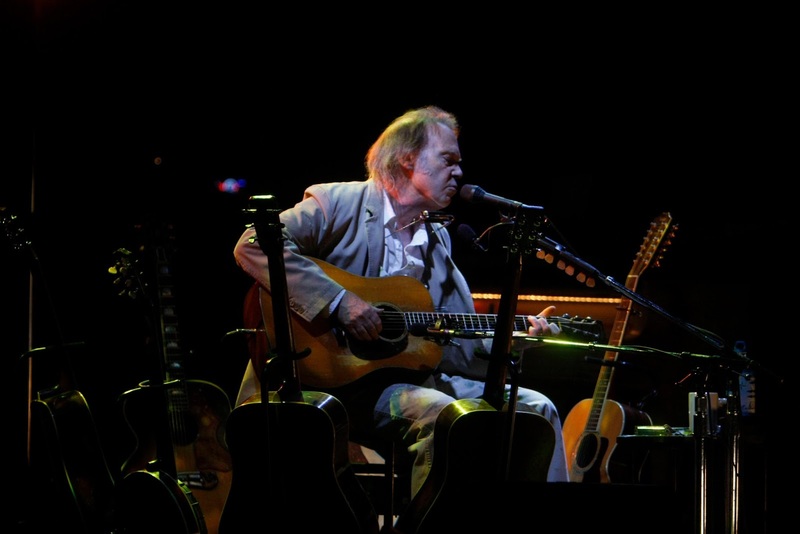 Neil Young: Heart of Gold is yet another essential volume for Neil Young library and a very timely celebration. 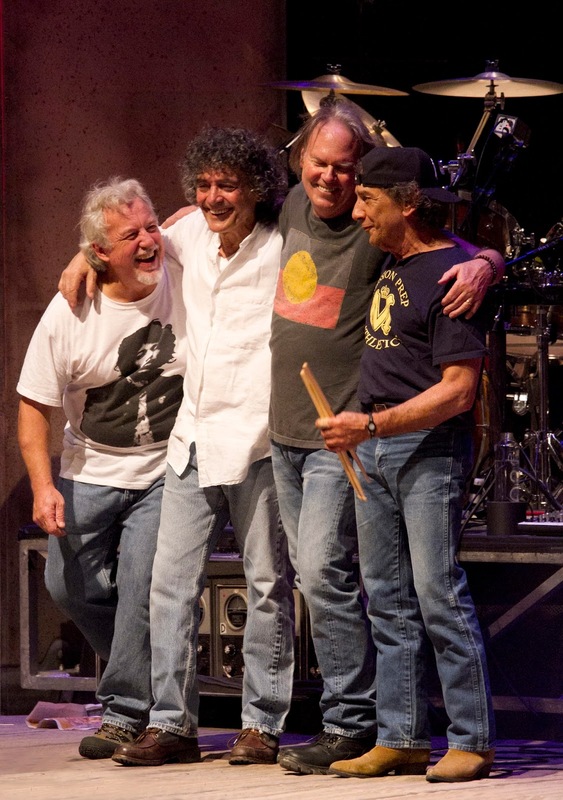 Frank Sampedro, Billy Talbot, Neil Young, and Ralph Molina. Thanks to the publisher Backbeat Books, the winner will receive a copy of the new book "Neil Young: Heart of Gold" by Harvey Kubernik . Lucky Thrasher's Wheat supporters will be eligible to win a free copy of the book "Neil Young - Heart of Gold" book by Harvey Kubernik. We truly appreciate being able to do what we do here at TW, and we love being able to give something back in return. #1) Subscribe (or be already subscribed) to one of our blogfeed channels either via Facebook Page (LIKE us), Twitter (FOLLOW us), YouTube Channel (SUBSCRIBE) and/or subscribe to our email list. Ms Hyndes comment on the cover is frankly ludicrous! 'a demi-god.......easy going'..........come Neils ain't love his music (most of it) but these comments are way off reality. Why is the cover ludicrous!???? Thanks CindyK. That was our reaction as well to Andy's comment. What's so bizarre is that obviously the author/publisher thought this was a key quote to put on jacket. And obviously Chrissie Hyde feels the same way. Maybe Andy is a musician who has played with Neil? Really the only person qualified to disown Chrissie statement is she herself or another musician who has actually played with Neil. We'll assume that Andy has not actually played with Neil and is merely trolling us. 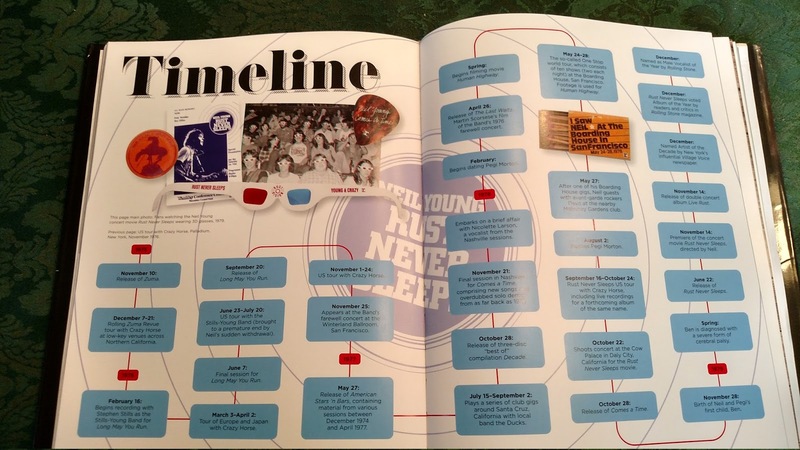 Timeline is a bit sketchy , with recording information sourced directly from Neil Young. Com . Discography. @So Tired - yes, much of info is secondary source. But it does harvest a lot together in one haybale package so that is nice. And certainly for the Neil neophyte it's a great place to start and build. @Jonathan - it's been awhile, our friend. Where have you been? So are you not a musician? Do you plan to jam with god? Seriously. If not, would Neil not be the next best thing to jammin' with the Almighty Her? Or would you rather jam with Hendrix in the Great Beyond? What would She say? Maybe, something about freedom of religion? The right to worship whoever, whatever? Or worship nothing at all? ps - We have an interview scheduled with author Harvey Kubernik for TW Radio coming up. Maybe we could ask him about the choice of Chrissie's quote on back cover? Anything in particular you might wish to ask? I'm no troll a fan of 40 years. I think the quote is way over the top and I'm sure Neil would feel uncomfortable with that. Why not use a quote from Stills who has Neil through good and bad times, this would resonate more with fans. @Andy - funny how sensitive folks get when called out. Agree, yes, we're sure Neil is uncomfortable with that. Who wouldn't. But he's a modest, down to earth kinda guy. And there's definitely mutual admiration between Chrissie & Neil. Anyways. So is that your question for the author? If so, when he says what have you got to suggest as an appropriate quote from Stills regarding Neil? @Thrasher: What's so sensitive about someone defending themselves against one of your typically baseless "troll" accusations? If everyone who happens to express an opinion different from yours is a troll, are you perhaps the sensitive one? @Babbo B. - ahh yes. Fair question. Note how Andy avoids the germane question: Are you or not a musician? If not, his opinion is less than relevant on the subject, don't you think? Afterall, commenting on the caption of the back of a book and somehow catapulting into a value judgement seems a bit extreme. So our Babbo B, dear friend .... which side are you on? Do you truly know your enemy? You know very well that your statement: "If everyone who happens to express an opinion different from yours is a troll, are you perhaps the sensitive one?" simply isn't true. shame on you. But you know, that's OK. We forgive you. So does the book interest you? Is Chrissie's statement valid or not? Wow thanks for the publicity, so if you've been a fan for 40+ years you can't be critical? This isn't how they talk?? Nonsense. A better quote would've have been from Stills...'Neil is wilfully erratic, and wilful'. From a BBC docu about 10 years ago. Andy, I've read a lot of your comments in the past and I can't remember you saying anything positive about Neil. You always take shots at him. In my opinion most of the people who post here look up to Neil and while worship might be too strong of a word its not that far off. Look at everything he does from Bridge to taking on Monsanto & Starbucks pretty much on his own. He's turning 70, GMO's aren't going to kill him but he seems to have a genuine concern for people he doesn't even know and while you're welcome to slam him for his shortcomings I don't think this is the proper venue for doing that. Lover of Peace all fair comments - but this is a site for fan views ? I thought the comment on the book by Ms Hynde was way over the top. I thought Stills's comment more on the money. Let's keep it in perspective - if TW wants a site where everyone agrees with his Neilness then fine. Afterall, commenting on the caption of the back of a book and somehow catapulting into a value judgement seems a bit extreme.....why put it there if it's not a value judgement? @anon - you covered a lot of ground on that one. Look, all we're trying to do here is a favor for busy Neil fans who really don't have the time or energy to plow through all the chaff to get to the wheat. So folks come here for their daily Neil harvest. So they don't come here for troll comments and such nonsense. And 2nd, this whole post is about a book. And a contest. We're giving away free books on Neil. Spreading the word. So what's the harm? Where's the trouble? It just seems that for some folks this will just not abide. Anyone can enter this contest. Anyone can win. There are no restrictions or fancy rules to play. We keep it simple and REAL. Speaking of which, have you entered the contest? We do not see any entries for Anon yet? We also notice that Andy has not entered the contest as of yet? hmmm. Lastly, "Freedom of Speech". Sure. But can you handle the REAL truth?